If you have chosen to buy one of the Microsoft Press books for your study material then you’ll be pleased to know that at the back of the book there is a 15% off coupon. This voucher can be used against any MCP exam that you choose to book..
70-243 is part of the Private Cloud certification series. The full exam name is Administering and Deploying System Center 2012 Configuration Manager. The exam is available from April 2012. Exam 70-246 is part of the new Private Cloud certification series. It's full name is Private Cloud Monitoring and Operations with System Center 2012. The exam is available to take from June 2012 onwards. 70-247 is another of the Private Cloud certification series. The full exam name is Private Cloud Configuration and Deployment with System Center 2012. The exam precedes the 70-247 exam in the cloud certification pathway. The 77-881 exam is part of the new Microsoft Office Specialist certification for Office 2010. Due for release in the summer of 2010, the exam credits a candidates proficiency in Word 2010. The 77-882 exam is part of the new Microsoft Office Specialist certifications for Office 2010. The exam tests a candidates proficiency in Excel 2010 and is available to take from the summer of 2010. The Web Development Fundenmentals exam (98-363) tests a candidate’s knowledge of creating Web applications using Microsoft Visual Studio and the .NET framework. 98-363 is an entry level exam. A new MTA exam has been released for mobile development fundamentals. MTA exams are an optional foundation for anyone wanting to take the higher MCTS Microsoft exams. The new Advanced IT Pro Course for SharePoint 2010 is a 5 day instructor led course covering the full features of SharePoint Server 2010. The Microsoft course covers planning, deploying and maintaining server farms with MOSS 2010. Are Service Packs included in Microsoft exams? As with all Microsoft technologies, service packs are an essential way to ensure; software is up to date; it contains few bugs; and is secure. Many of you will be asking whether service packs are covered by Microsoft certification exams? London hosts the majority of the UK’s testing sites for the Microsoft MCP certification program. There are many good sites to take your exam, it all comes down to the location and how easy it is for you to get there..
Can I use MCP logo on my CV or Resume? Microsoft allows the use of the MCP logo for resumes, CV’s, websites and brochures so long as the applicable certification is used in the sidebar. The recommended placement for the logo is the bottom corner, either left or right of the material. Students thinking about taking any of the new Microsoft Windows 7 exams including 70-680, 70-868 etc. should take a look at the Microsoft learning site for a free Winodws 7 ebook offer. By registering, you can get free copies of chapters from..
Microsoft has a set retake policy which applies to all their certification exams. These retake policies are in place to help protect the integrity of Microsoft exams from illegal copying and distribution. How many MCP are there? Microsoft’s records show that there are now over 4 million MCP qualified people worldwide (2009). These numbers include 24,000 Microsoft employees who have gained their MCP qualification. How much does the MCP exam cost? The MCP exam costs vary between countries. At the present time the cost of an MCP exam in the UK is £88 and in the US (United States) the cost of an MCP exam is $125. These costs apply to the standard certification range and not the Microsoft..
How to get a hard copy print of your Microsoft certificate? A few years ago, Microsoft used to send a free hard copy of your certificate in the post. These days, you can either download a high quality PDF version and print yourself OR you can purchase a hard copy directly from Microsoft. From July 1, 2011 Microsoft will be increasing the price of their MCP certifications and exams by 12%. For U.S candidates the new price is $150. Microsoft defended this price rise as covering the continued investment and enhanced certifications..
A new Microsoft exam for HTML 5 web development is on the way. The exam focuses on core HTML 5 development skills for high school and college students. Microsoft has a new special offer for anyone taking a Microsoft exam. By purchasing one of the Exam Packs you can get up to 20% off your exams and free second shot attempts. Microsoft's new certification path, the Microsoft Technology Associate (MTA), helps schools teach and validate students technology knowledge on campus. Microsoft have announced the new developer certification for Visual Studio 2012. Consisting of 3 exams, the certification will test your skills in HTML5, CSS3, ASP .NET 4.5 MVC, Windows Azure and Web Services. Microsoft have updated their Certificates and Transcripts for all MCP professionals. The new transcripts and certificates contain only a few changes, but they're fairly significant ones. This is especially true for the Inactive Date which causes.. In the past, Microsoft Gold Partners obtained their certification by passing relevant exams and having a certain number of certified professionals across different specialisations. Microsoft have added several new question types to their certification exams in 2011. These new types have been designed to test your knowledge in new ways and ascertain that you know the exam material in sufficient detail. Many people often ask what the average salary is for a person qualified as an MCSA. Well, this question does depend on your other experience as well as your certification so it isn’t a hard and fast rule. However, a general rule of thumb is that..
Microsoft have announced that mainstream product support ends for Visual Studio 2005 in April 2011 and SQL Server 2005 in July 2011. This means that both of these Microsoft exams will be retiring in June 2011. Use this Technet promotion code and get 28% discount off your Technet subscription. Technet is the best subscription resource for Microsoft software including technical resources, beta software, elearning courses and much more. MCTS stands for Microsoft Certified Technology Specialist and is a new wave of Microsoft certifications aimed at helping candidates certify their skills in a specific technology. Each MCTS certification, whether it be .NET Framework 3.5.. The Microsoft transcript is your official record of your exam and certification achievements which you can use for your personal tracking and validation. If you want to show others your certification achievements, then you should use the Transcript..
What is the Second Shot offer? 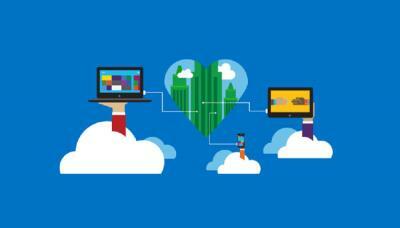 The Microsoft 2nd shot offer is a great offer for anyone taking an MCP exam. The voucher allows you to retake an exam for free if you do not pass the exam the first time of trying. When will the Windows 8 exams be available? 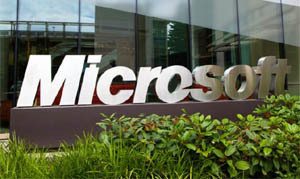 Microsoft have announced that the first beta exam for Windows 8 is available starting in June 2012. The first Windows 8 exam is 70-687 - Configuring Windows 8. It forms the foundation for the new MCSA and MCSE certifications. The MCP exam is a great way to boast your skills in a Microsoft technology and prove to your present or prospective employees your abilities. All MCP exams are targeted towards a specific skill area or technology and are perfect for achieving job.. This is a 4 day instructor led training course from Microsoft covering the skills administer PowerShell in a Windows environment.